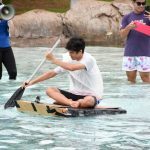 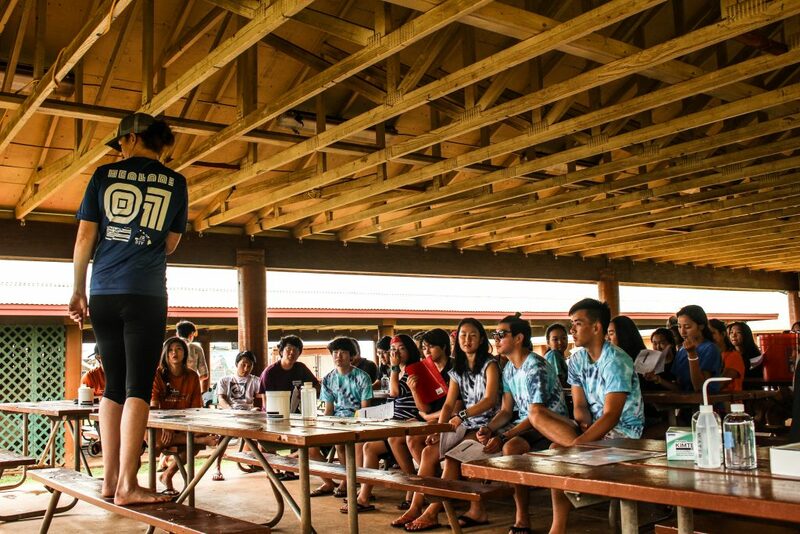 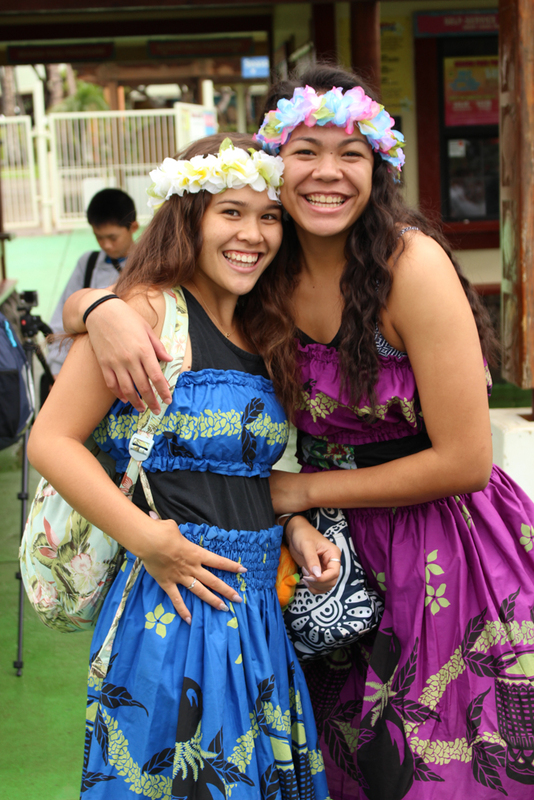 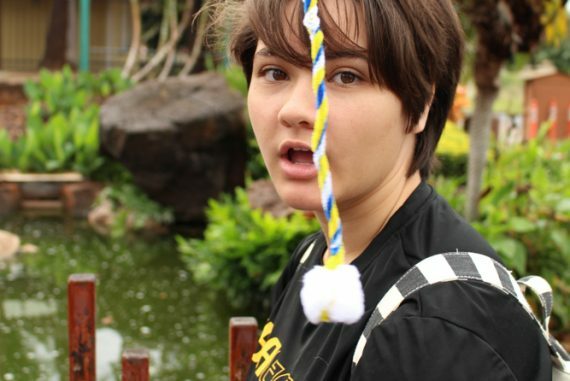 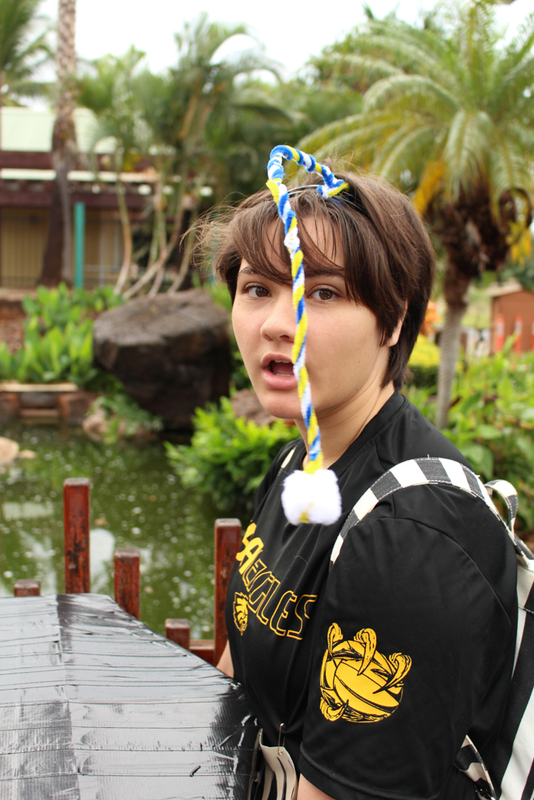 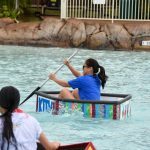 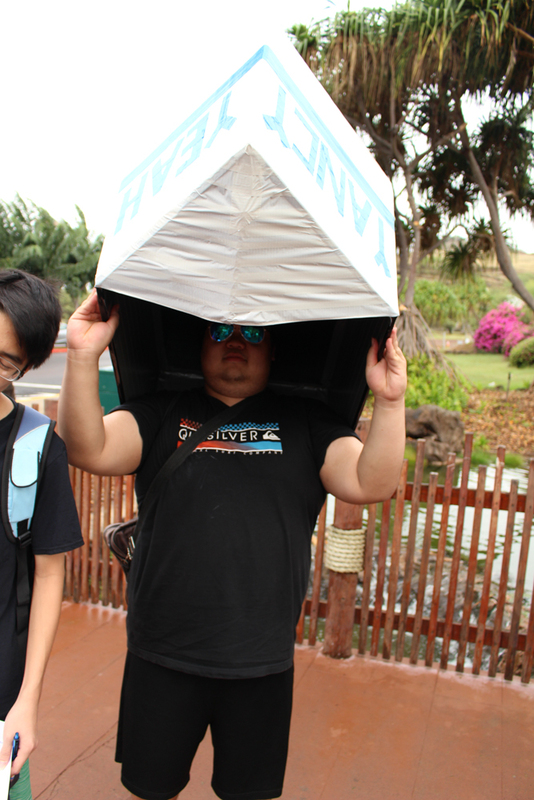 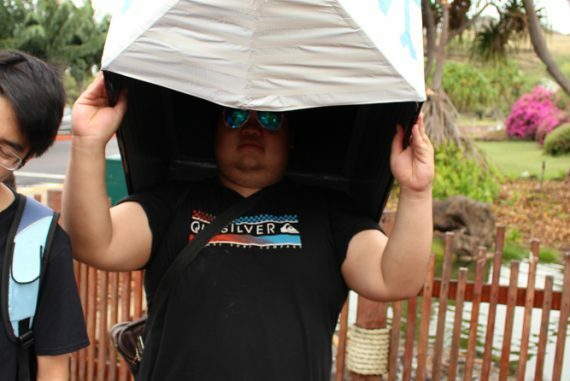 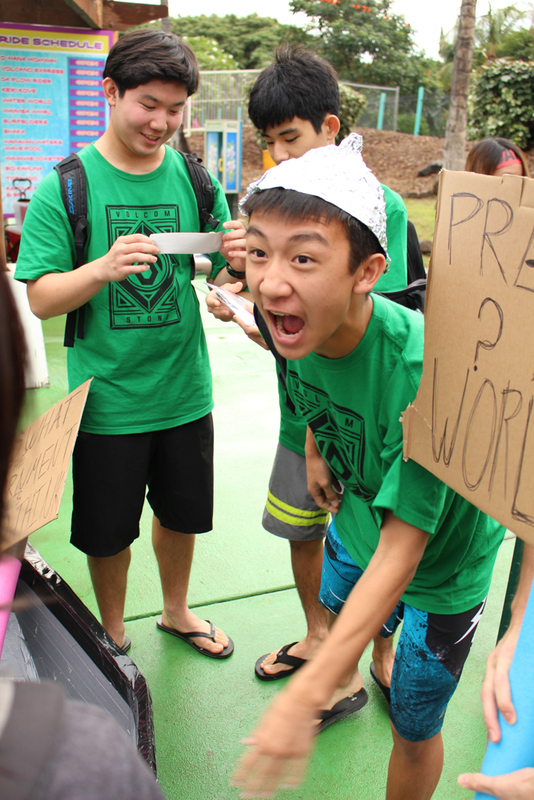 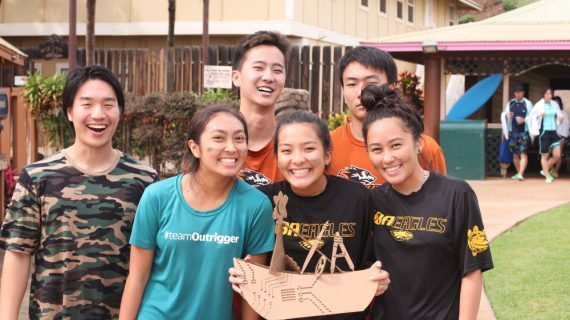 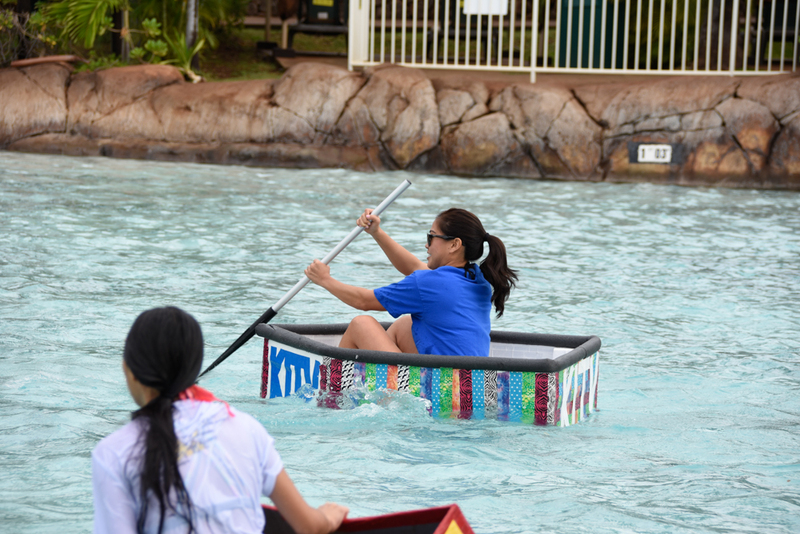 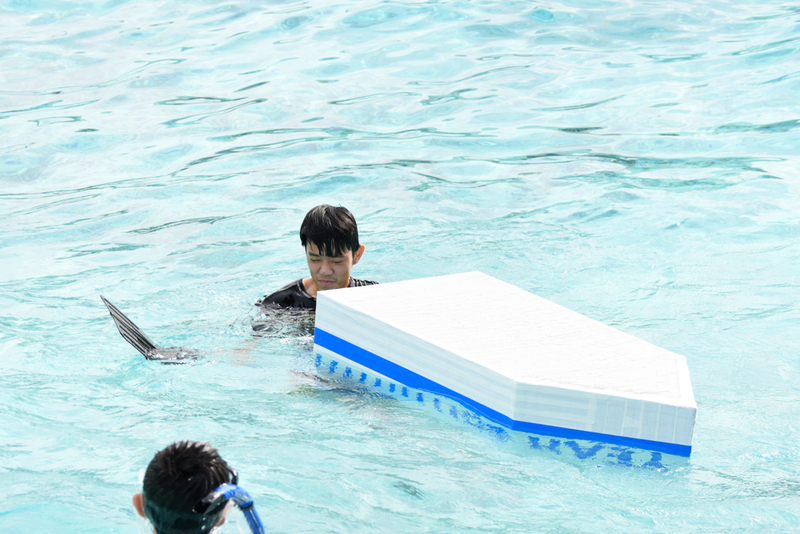 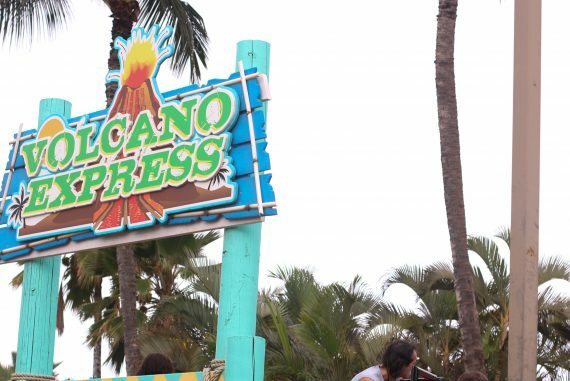 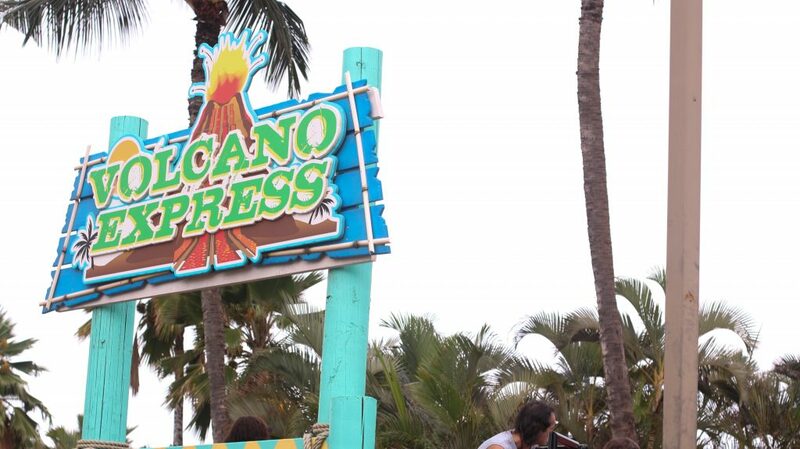 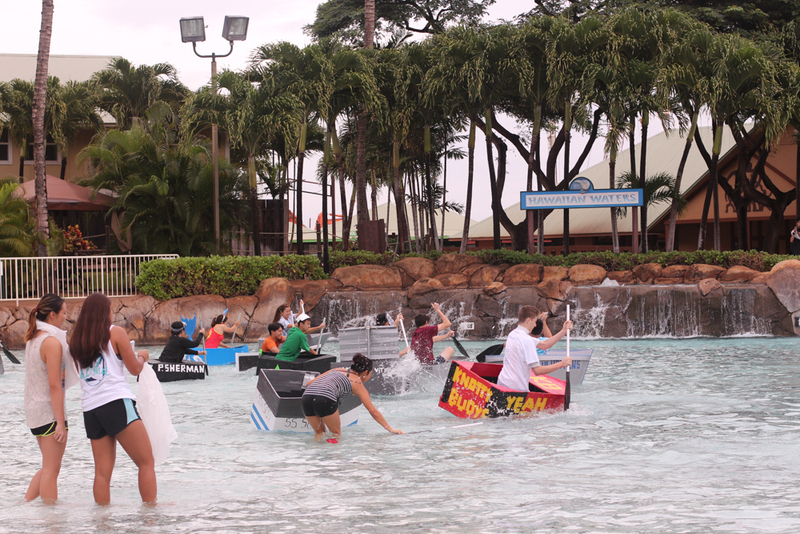 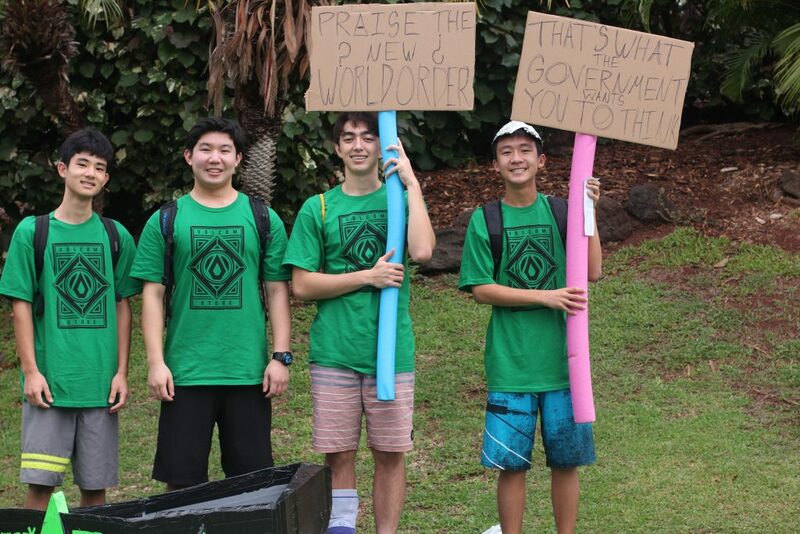 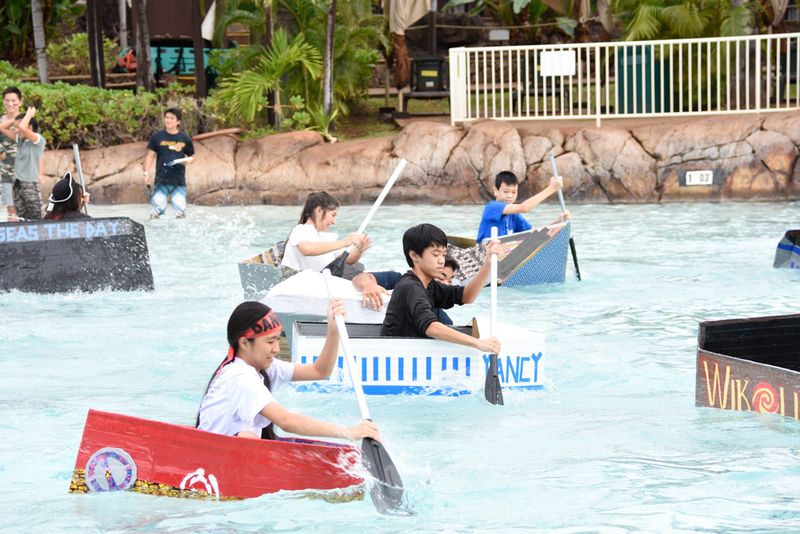 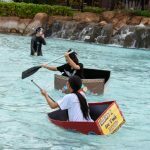 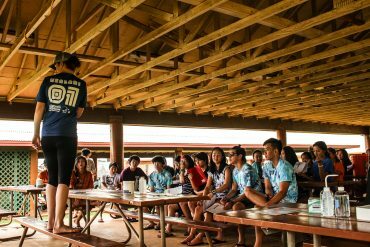 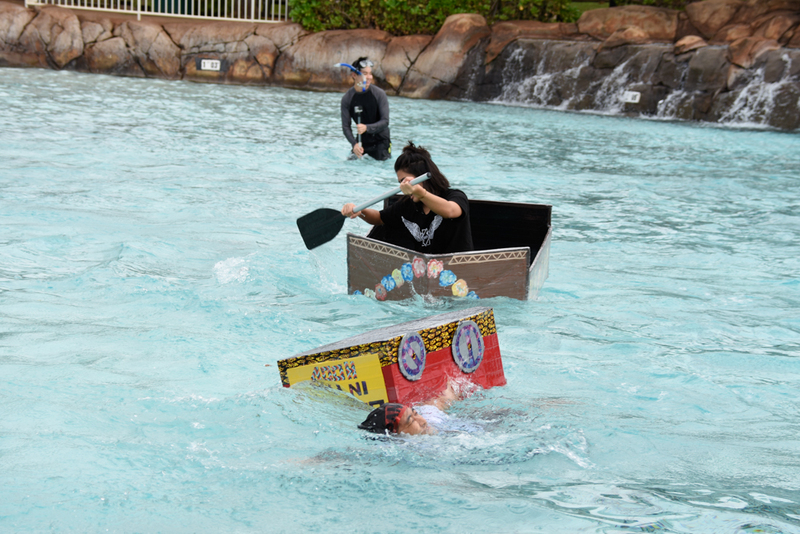 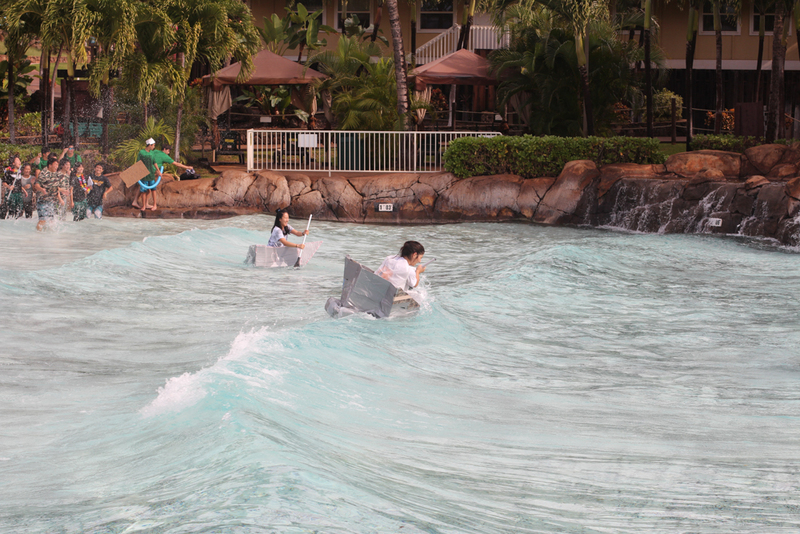 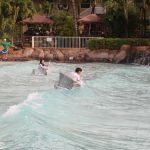 On December 9, 130 HBA students, along with boats made of cardboard, recycled materials, duct tape, and even 3D printed plastic, departed the campus for the Wet and Wild water park in Kapolei. 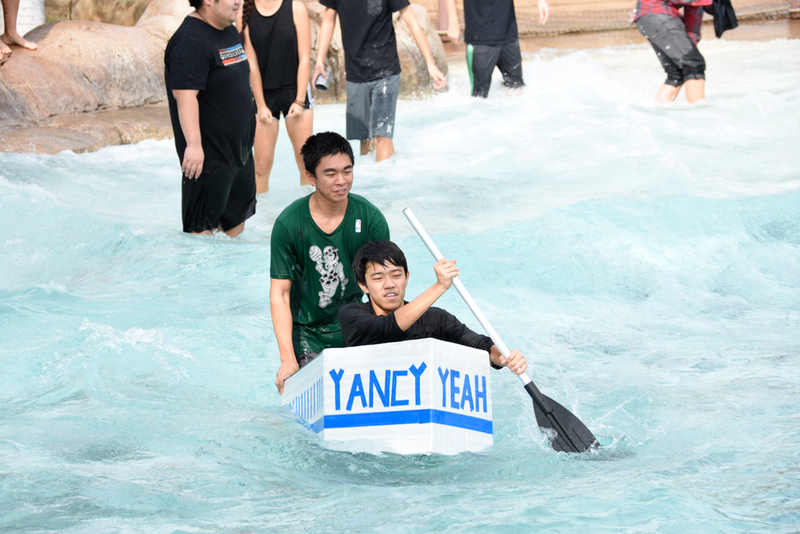 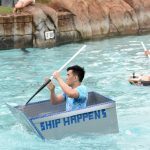 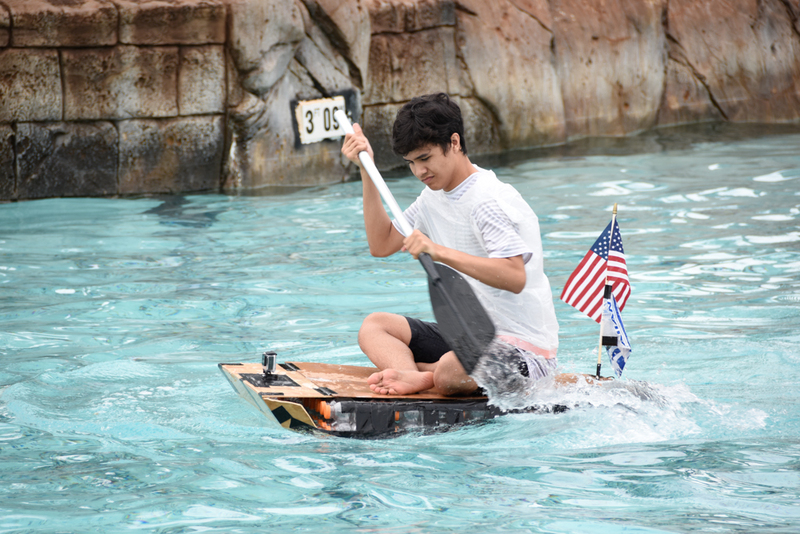 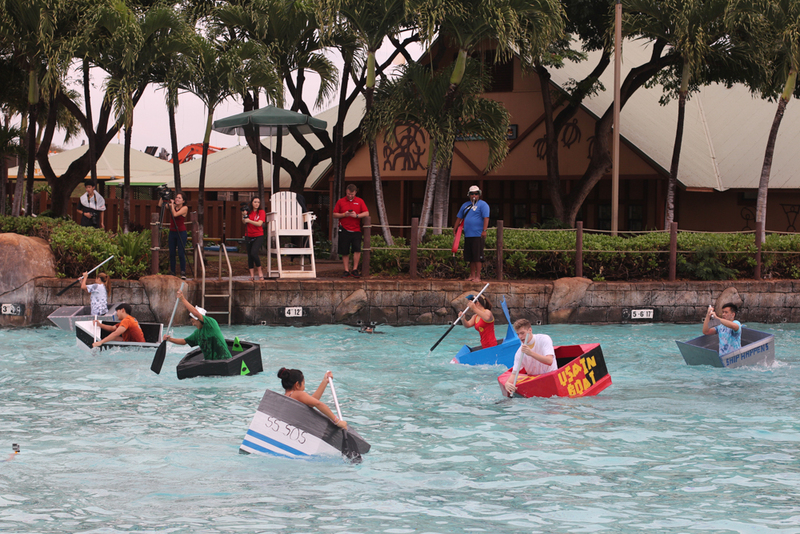 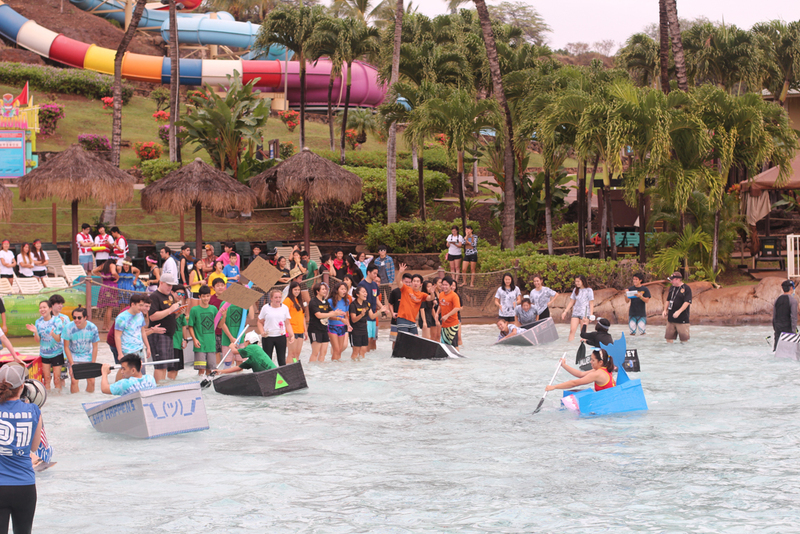 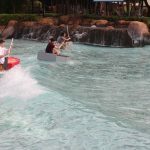 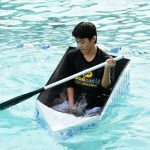 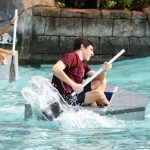 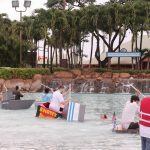 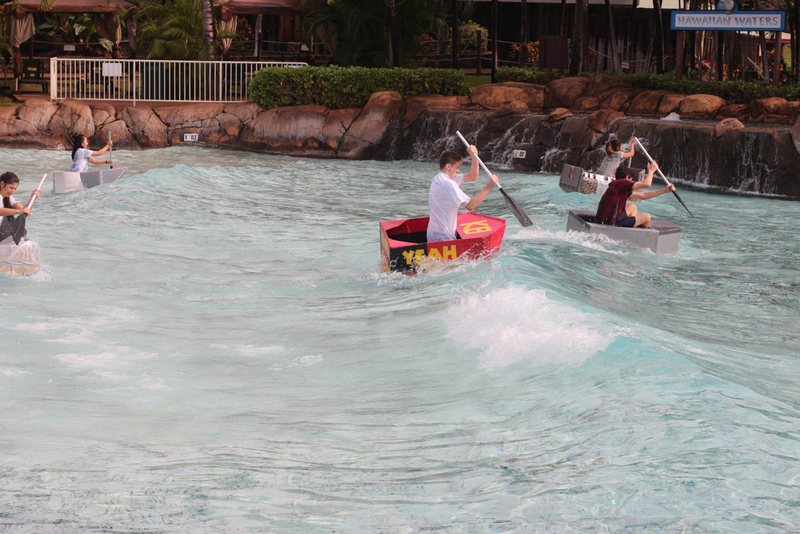 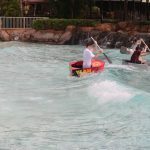 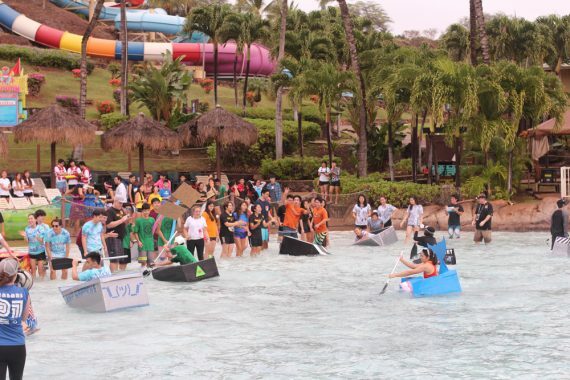 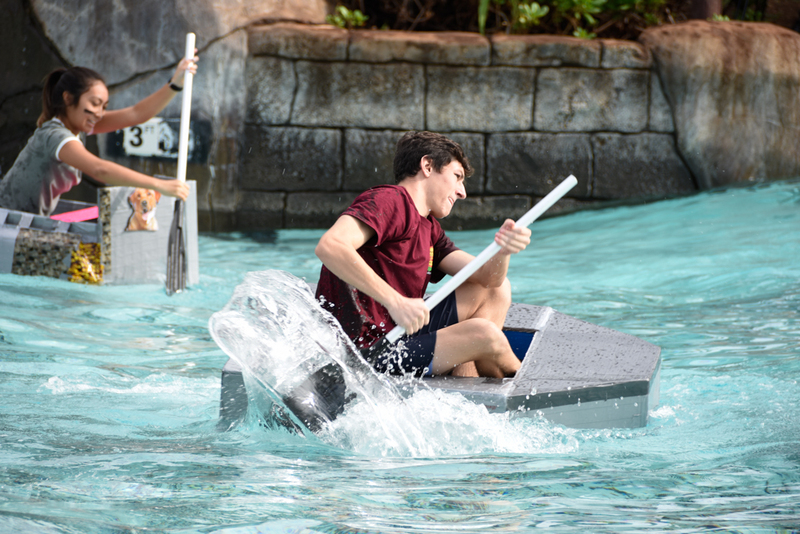 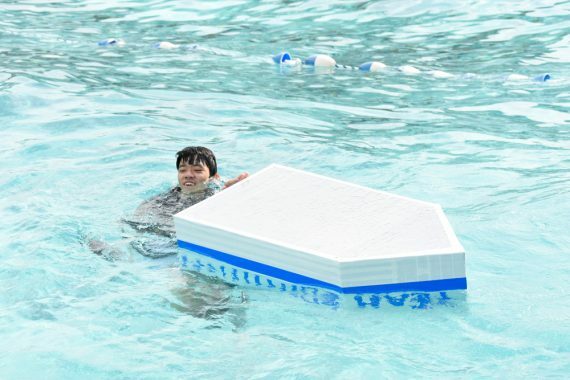 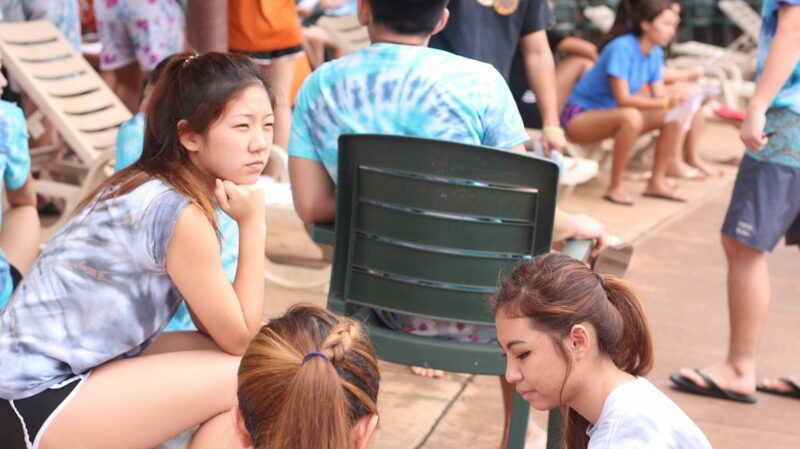 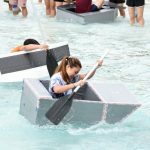 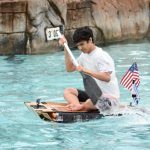 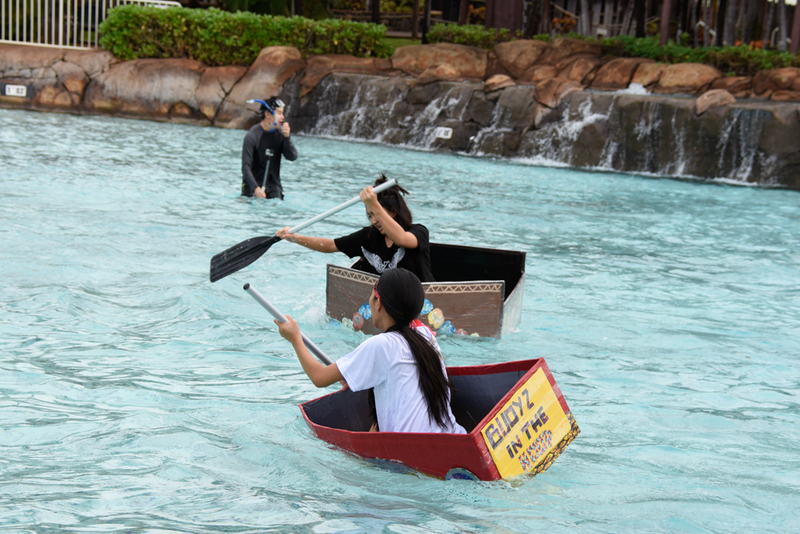 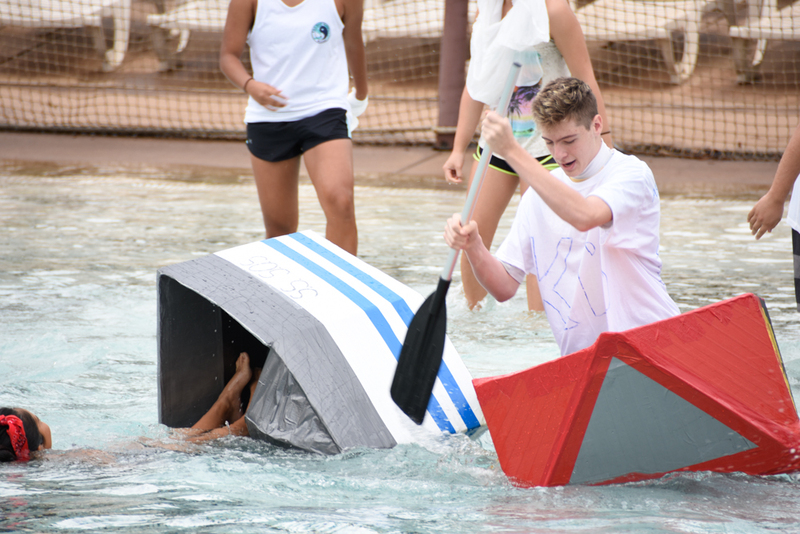 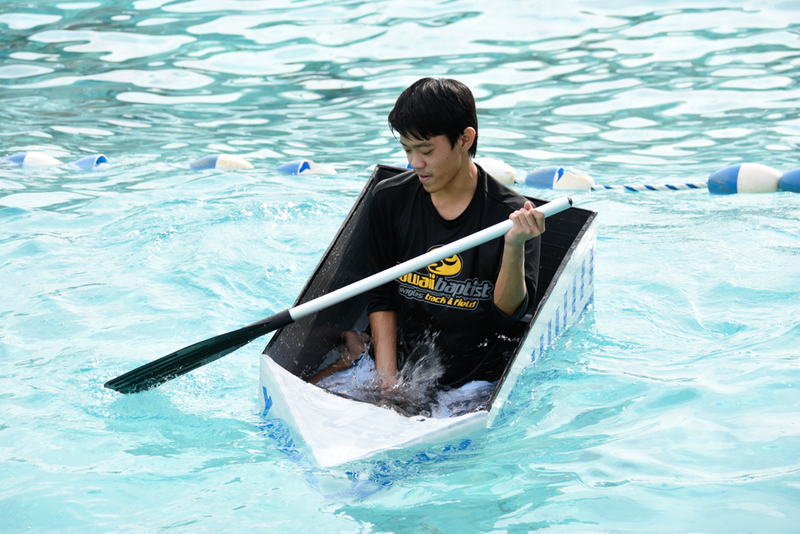 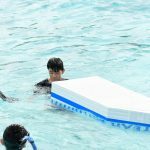 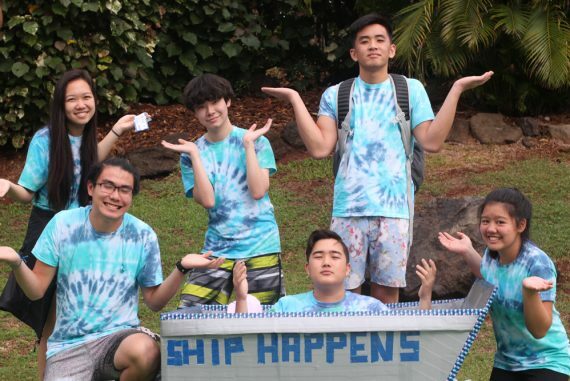 It was HBA’s ninth annual Boat Regatta, and high school students from Physics, AP Physics, and AP Environmental classes had spent the previous month designing and building boats that would race each other in the 400,000 gallon Wave Pool at the water park. 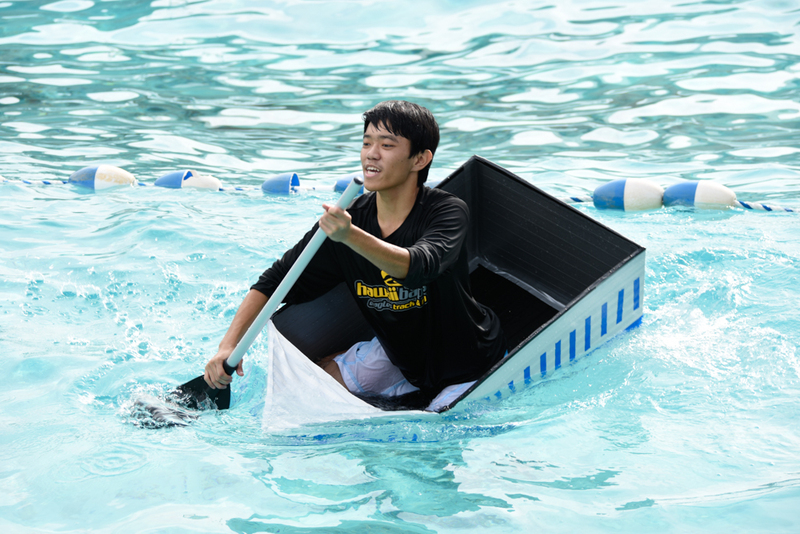 Physics, AP Physics 1 and AP Environmental students were tasked with building boats that could support the weight of a paddler, using cardboard or recycled materials, depending on which class they were in. AP Physics 2 students, however, embarked on an all-new Boat Regatta project this year: building remote controlled 3D printed plastic vessels for the race. 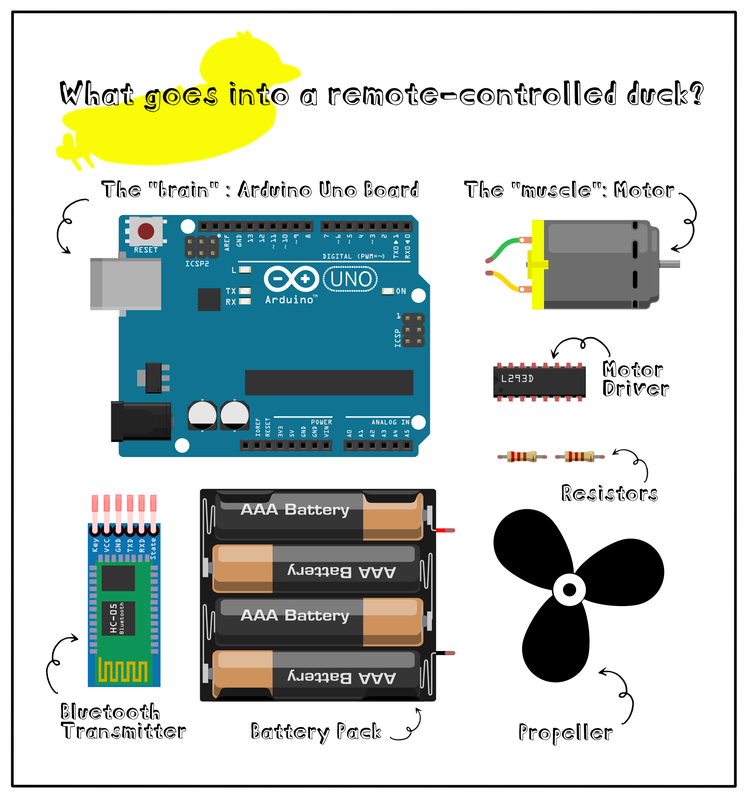 AP Physics teacher Isaac Duncklee came up with the challenge as the students had been studying programming and circuitry in class. 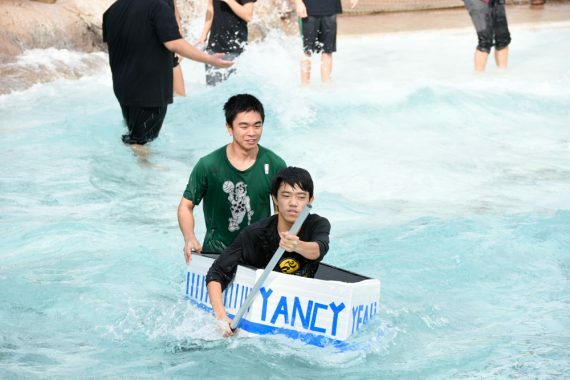 took place in 1962 at Southern Illinois University. 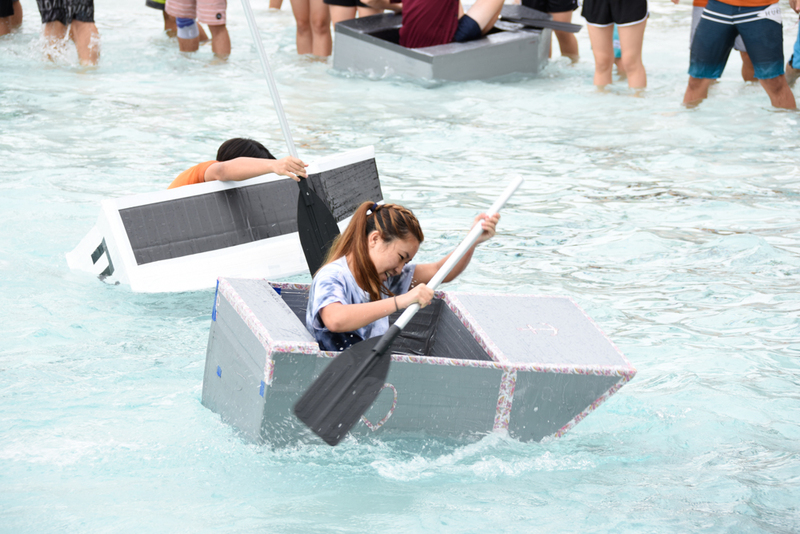 Professor Davis Pratt, who taught in the Design Department, assigned the senior class a Water Transport Project which required them to build corrugated cardboard boats. 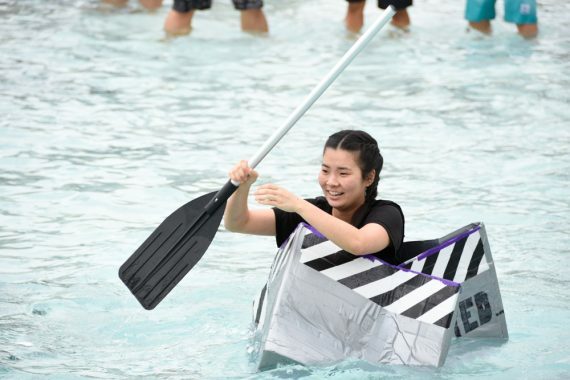 Since this time, the idea has continued to grow and Cardboard Boat Regattas have become annual events at many lakes and campgrounds across the country. 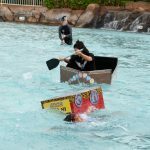 On the day of the regatta, the amateur sailors and shipwrights dressed in costumes to match their boats, many of which were named for pop culture references or to show off the group’s wit. 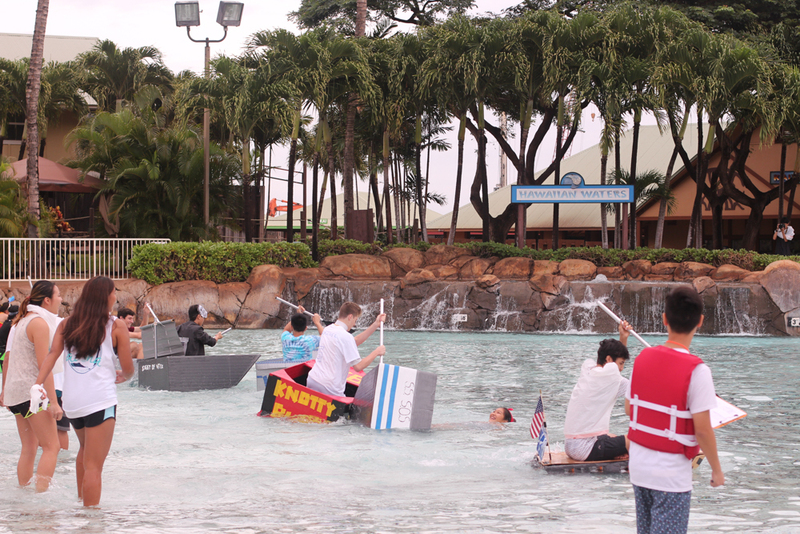 From “Seas the Day” to “Usain Boat”, these boats would have to prove their seaworthiness on their maiden voyages at the water park. AP Physics 2 students kicked off the first race of the day with their remote controlled boats, to varying degrees of success. 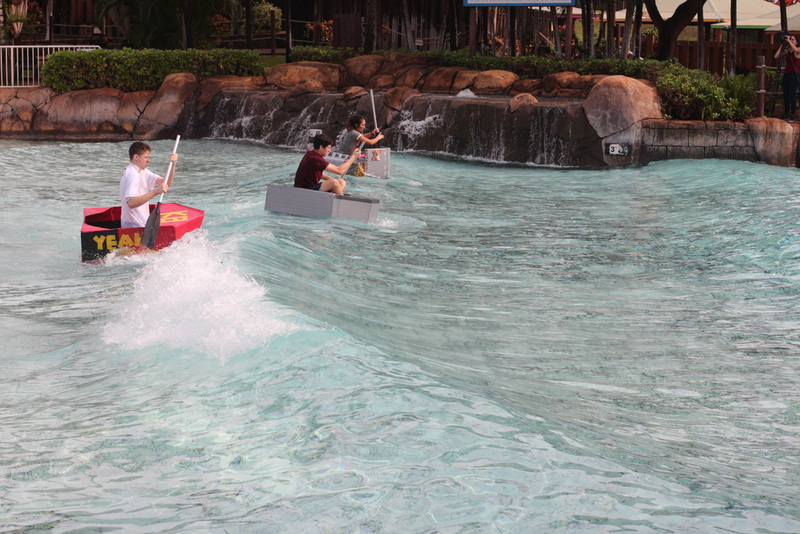 The boat designs ranged from the standard speedboat to a giant, plastic version of the ubiquitous rubber ducky. 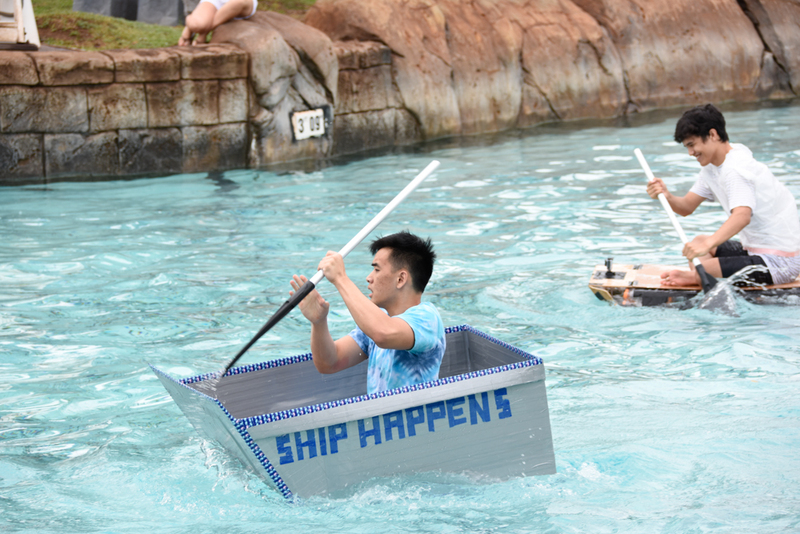 The final verdict: It was more of a drift than a race, as the students soon discovered that their motors were too weak to power their propellers. 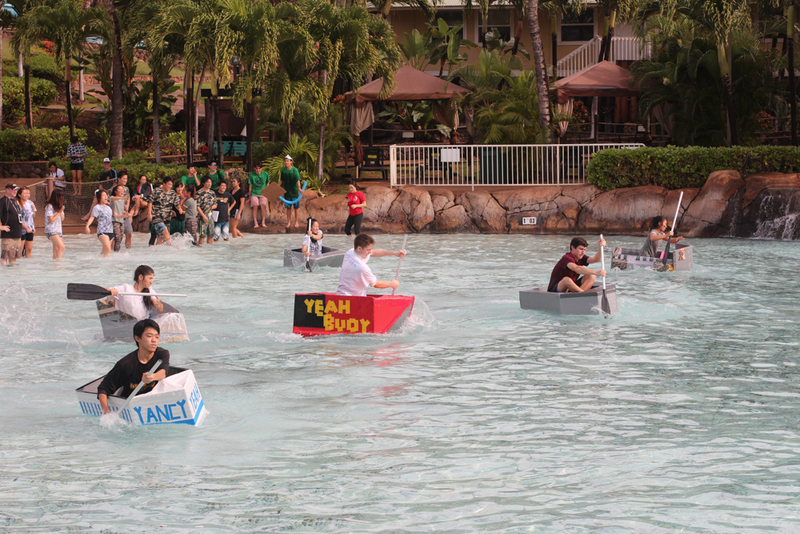 The AP Physics 1, AP Environmental Science, and Physics classes were divided into two heats, with the top four boats in each heat advancing to the final race. 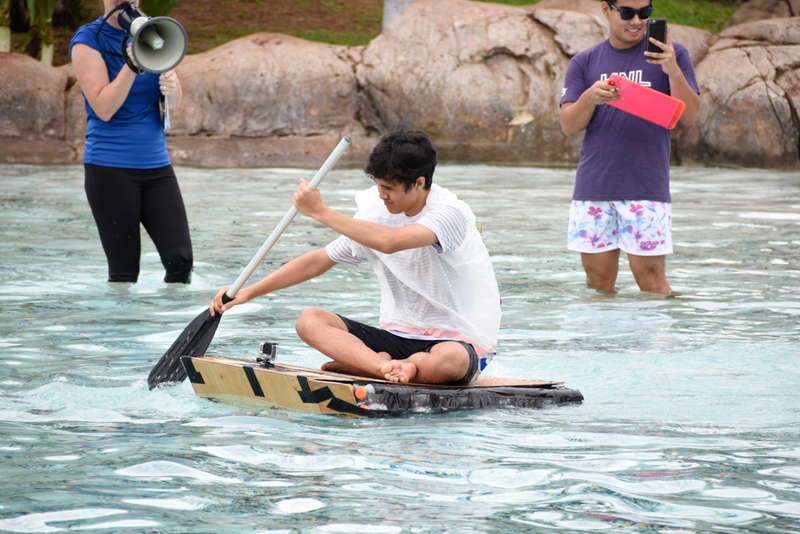 For the championship round, the wave generator was switched on to add an extra bit of challenge and excitement to the competition. 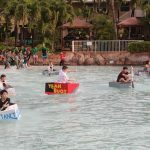 After the regatta, the students were divided into groups which rotated through three STEM (Science, Technology, Engineering, Math) stations at the park. 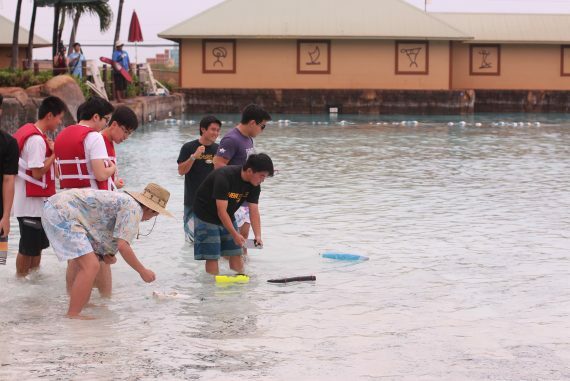 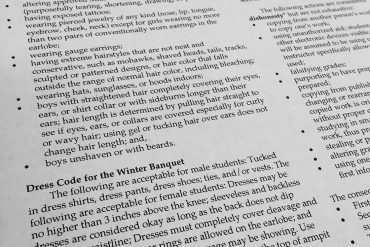 At each station, students had to conduct lab tests, applying concepts learned during the semester. 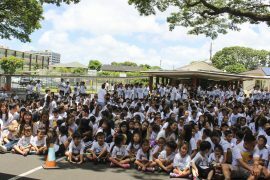 The first lab involved testing the pH (acidity) of water found throughout the park in comparison to HBA’s drinking water. 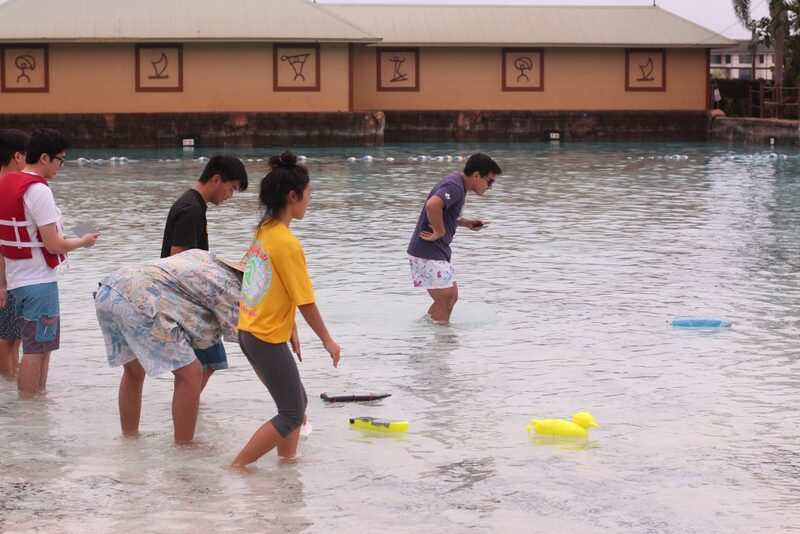 In the second lab, students met at the wave pool to examine the wavelengths, frequency, and speed of the artificial waves. 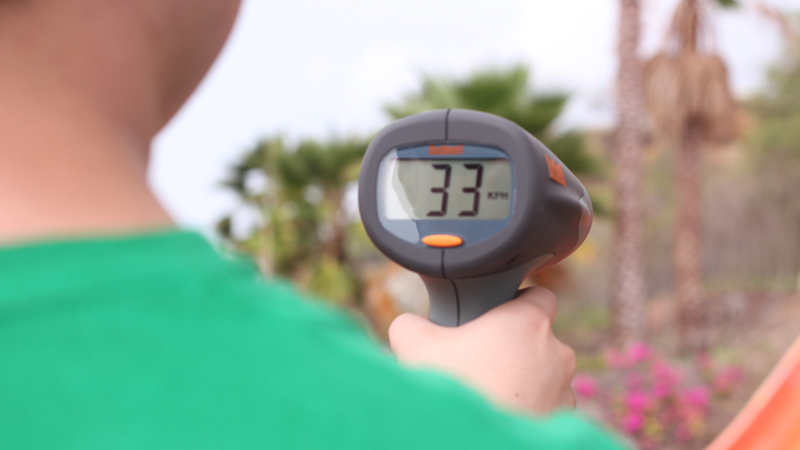 The final lab required the use of a speed gun to test the velocity of riders on the Volcano Express waterslide. 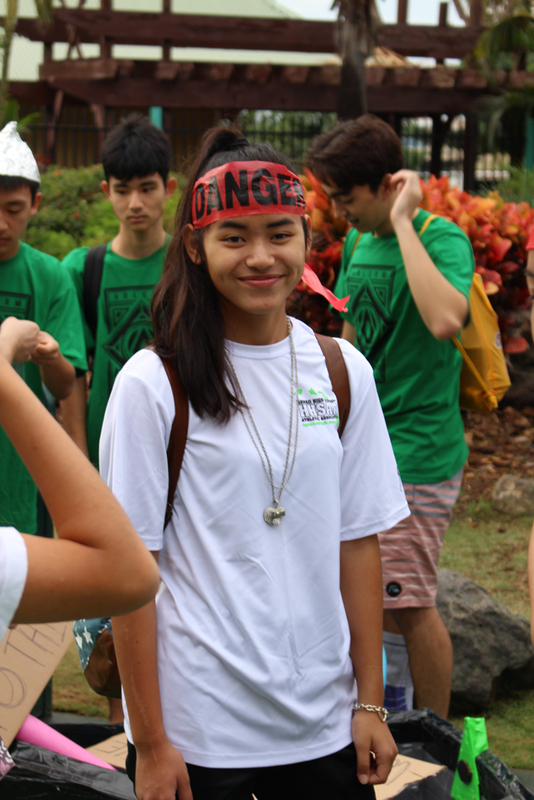 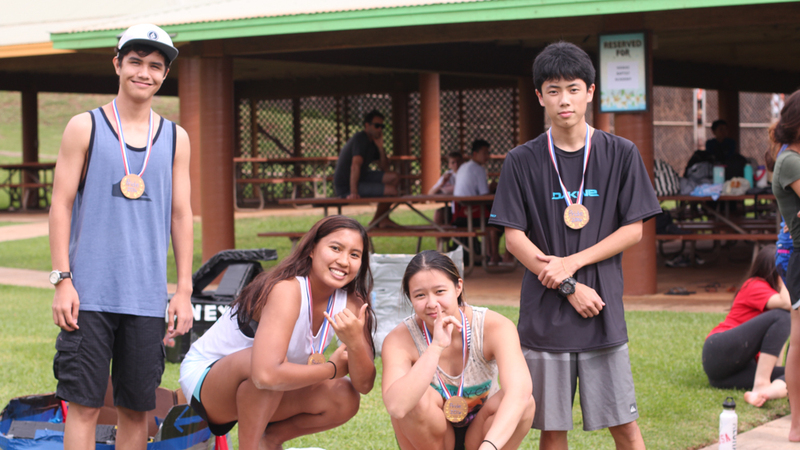 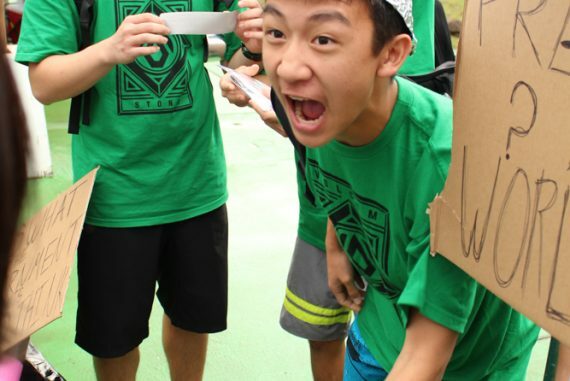 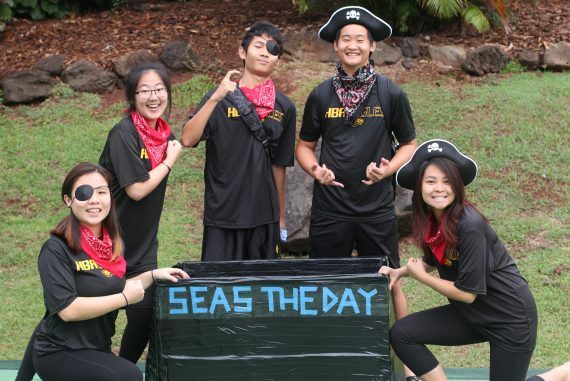 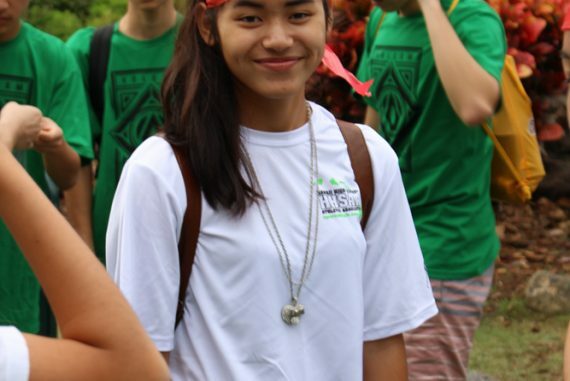 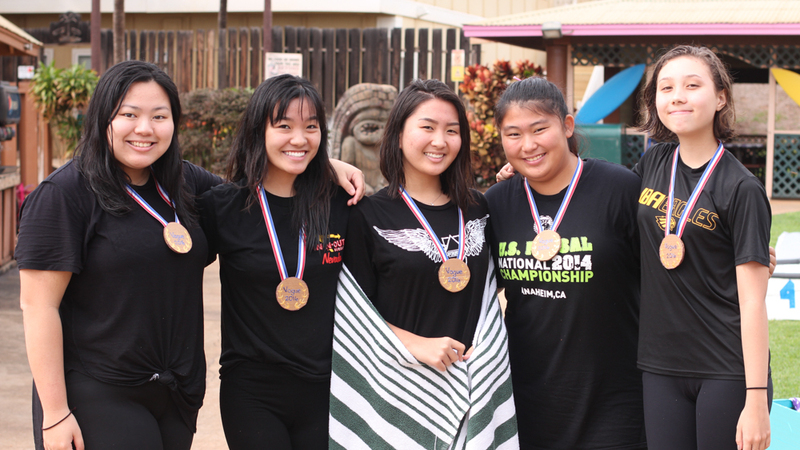 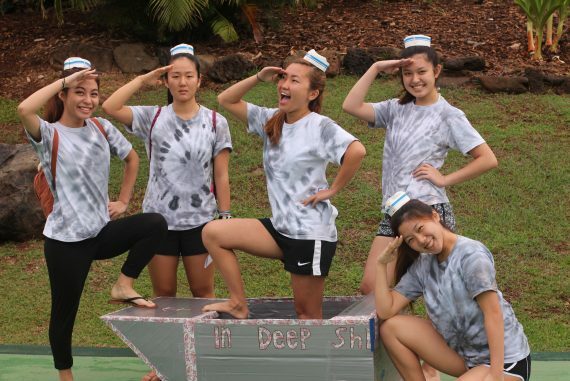 As students convened for a bento lunch, awards were not only given out to the race winners, as the teams with the best spirit, creativity in design, costumes, and even the most spectacular sinking were recognized with their own cardboard medals. 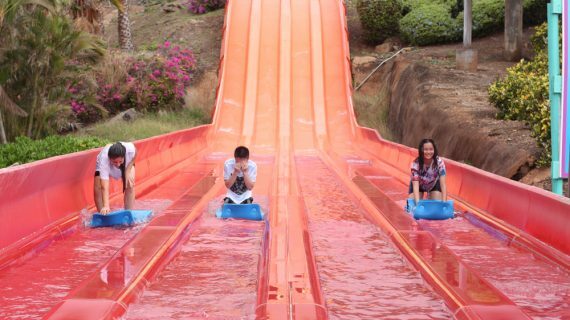 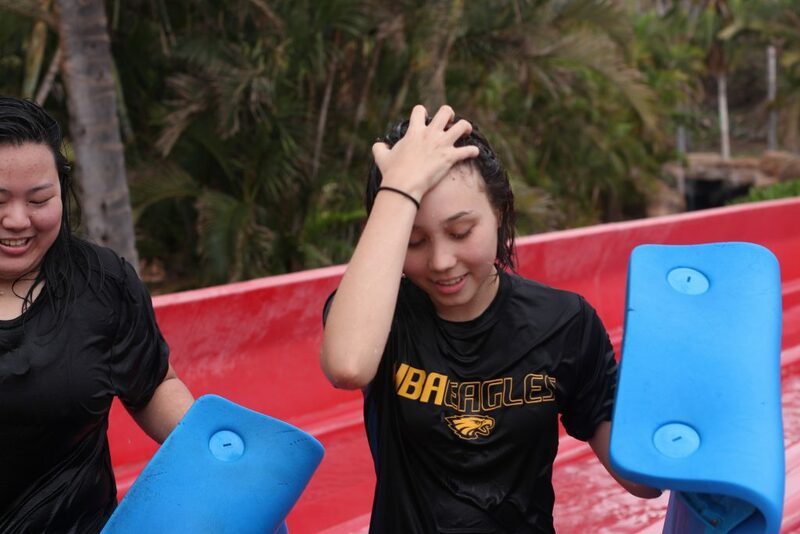 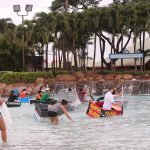 Afterwards, students got to enjoy the waterpark’s attractions for a couple hours before it was finally time to dismantle their boats, pack up, and leave. 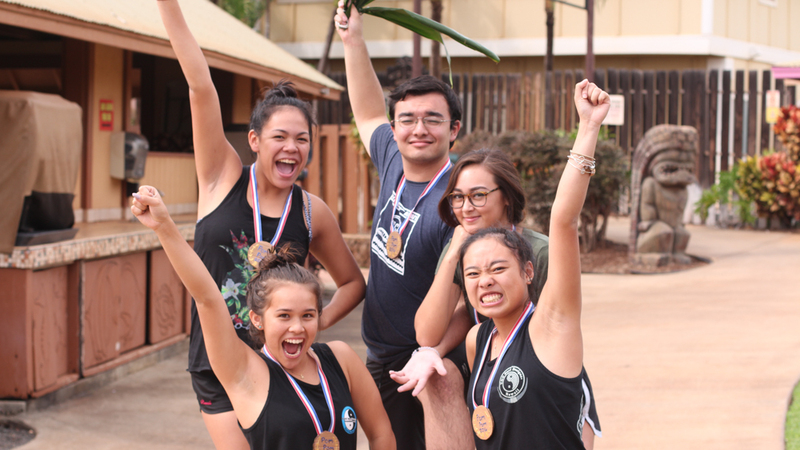 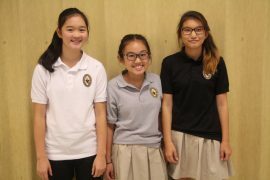 Photographs by Joel Lau (’18), Kayla Takimoto (’17), Ryan Su (’17), and Kaycee Nakashima (’20).